Hunting with falcons, locally know as Saqqara … this tradition can be described as hunting in its most natural ways, since it is about manipulating the instinct of one of the world’s most beautiful birds. This millennial tradition has become through the centuries a pillar of the UAE heritage; the Falcon is nothing less than the national symbol of the Emirati state. Though this love for the falcon is shared with dozens of countries around the world, especially in Asia, and the International Festival of Falconry comes as a unique platform for the world’s best falconers and one of the major event dedicated to falconry. 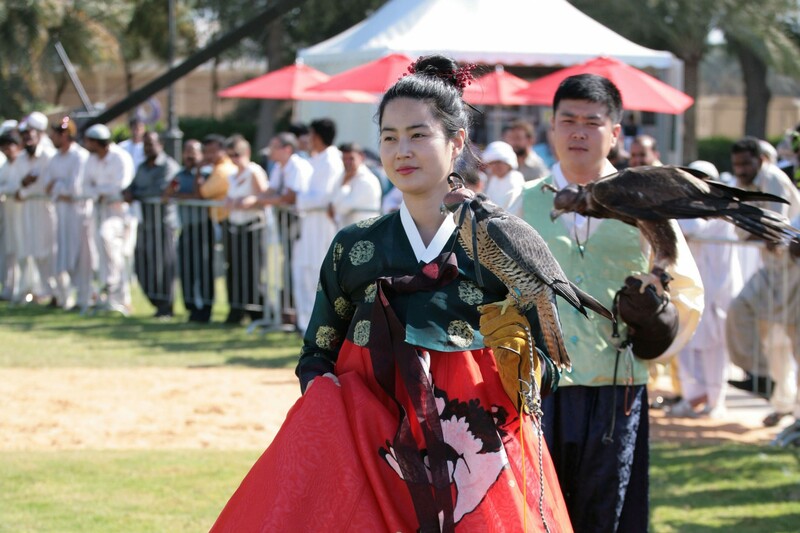 Delegates from more than 75 countries participate in the festival that is held in the emirate of Abu Dhabi every 3 years, making the event a place where national cultures can meet and interact while allowing falconers and institutions to discuss ways of promoting heritage and protecting it. The festival is nothing less than a celebration of heritage and folklore, vividly animated with colors and tunes from around the falcon loving world. To learn more about the event, visit the official website of the International Festival of Falconry. The Family program includes three days of educational and entertainment activities for all ages.